Having looked at 180 translation-impacting differences between the Byzantine Text and the text in Codex Sinaiticus in the Synoptic Gospels (60 in Matthew, 60 in Mark, 60 in Luke), today we complete the set, looking at 100 translation-impacting differences between the Byzantine Text and the text that was written by the copyist of Codex Sinaiticus in the Gospel of John. 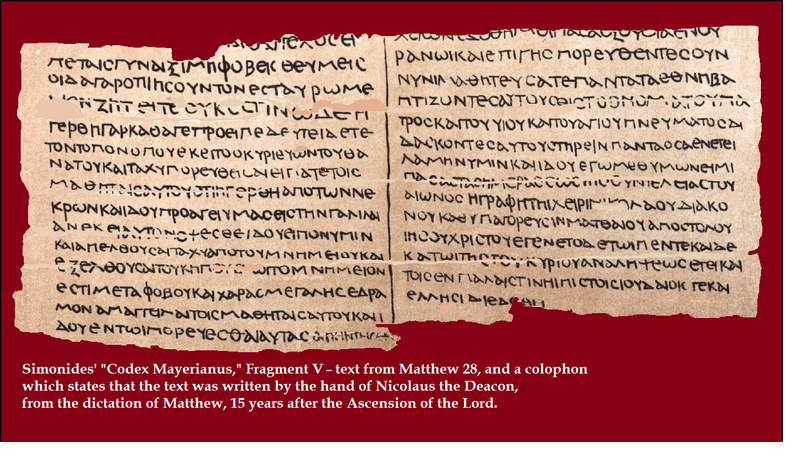 The readings from Sinaiticus in this list vary in size and in the amount of impact that they have on translation – in one case, 12 verses are affected; in some other cases, a single word is changed. 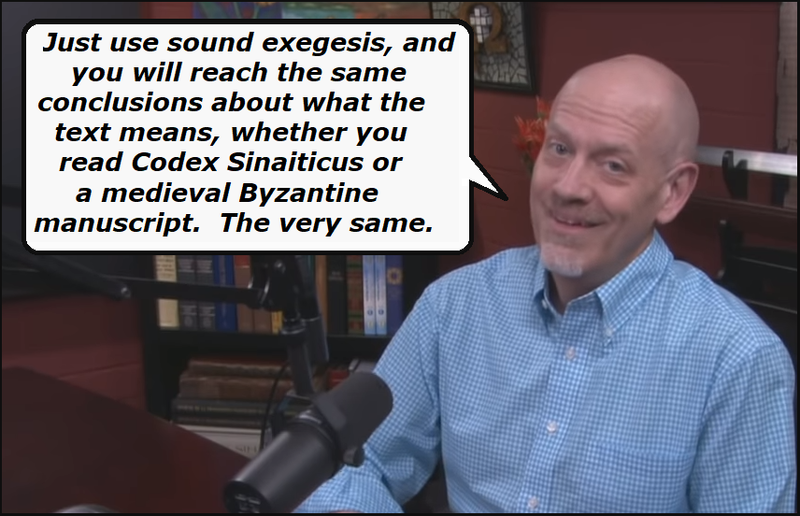 In several cases, the reading in Codex Sinaiticus constitutes a historical error. 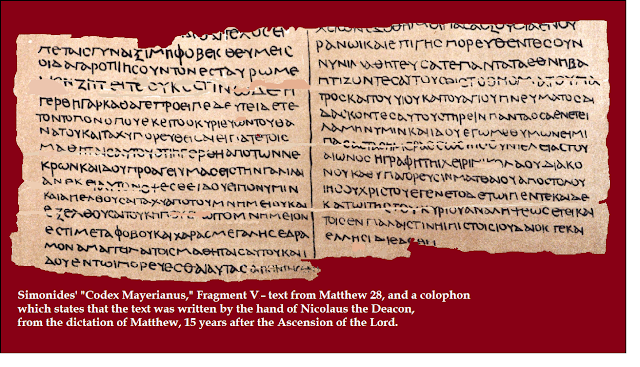 Red dots accompany cases where the Byzantine Text and the Nestle-Aland compilation both disagree with the reading written by the copyist of Codex Sinaiticus. Black dots accompany cases where Codex Sinaiticus and the Nestle-Aland compilation agree with each other and disagree with the Byzantine reading; there are fourteen such cases (among these particular 100 variant-units). ● 1. In John 1:15, does John the Baptist say that Jesus is the One he was speaking of before? ● 2. Does John 1:17 affirm that grace and truth come from Jesus Christ? ● 3. Does John 1:18 refer to “the only begotten Son who is in the bosom of the Father” or to “only begotten God in the bosom of the Father”? ● 4. Does John 1:20 emphasize John the Baptist’s confession by mentioning twice that he confessed? ● 5. In John 1:34, does John the Baptist affirm that Jesus is the Son of God, or that Jesus is the chosen one of God? ● 6. Does John 2:3 contain a phrase which says that they did not have wine, because the wine for the marriage-feast was finished? ● 7. Does John 2:6 say that the waterpots were standing there? ● 8. Does John 2:10 specifically say that Jesus manifested His glory? ● 9. Does John 2:12 mention Jesus’ disciples? ● 10. Does John 2:21 specify that Jesus spoke of the temple of His body? ● 11. In John 3:8, does Jesus describe “everyone who has been born of water and of the Spirit”? ● 12. Does John 3:13 mention “the Son of Man who is in heaven”? ● 13. Does John 3:16 affirm that God gave His only begotten Son? ● 14. Does John 3:20 affirm that everyone who hates the light does not come to the light? ● 15. Does John 3:21 affirm that the one who does the truth comes to the light, that his deeds may be made manifest? ● 16. Does John 3:31 affirm that He who comes from heaven is above all? ● 17. Does John 4:1 refer to Jesus as “the Lord”? ● 18. 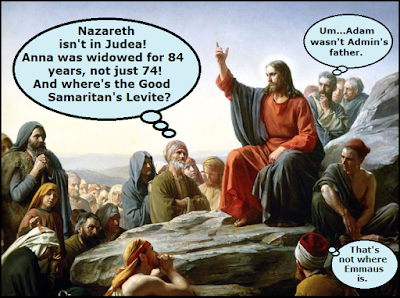 Does John 4:9 say that Jews have no dealings with Samaritans? ● 19. In John 4:19, does the Samaritan woman refer to Jesus as “Lord”? ● 20. Does John 4:39 specify that many of the Samaritans believed on Him? ● 21. Does John 4:45 say that the Galileans received Him? ● 22. Does John 5:3 mention that the sick people were waiting for the moving of the waters? ● 23. Does John 5:4 say that an angel stirred up the waters, and that the one who first entered the pool after the waters were stirred up would be healed? ● 24. Does John 5:9 say that the man immediately became whole? ● 25. Does John 5:14 mention that the healed man found Jesus healing in the temple? ● 26. Does John 5:16 say that the Jews sought to kill Jesus? ● 27. In John 5:25, does Jesus refer to an hour that is coming and now is? ● 28. Does John 5:26 say that the Father has given to the Son to have life in Himself? ● 29. In John 6:10, how does John describe the place where Jesus fed the five thousand? ● 30. In John 6:10, about how many men were present? ● 31. Does John 6:11 say that Jesus gave the loaves to the disciples, and the disciples gave them to those who were sitting down? ● 32. Does John 6:15 say that Jesus withdrew from the crowd, or that He escaped the crowd? ● 33. In John 6:26, does Jesus’ statement begin, “You seek me”? ● 34. Does John 6:27 say that God the Father has sealed the Son of Man? ● 35. In John 6:39, does Jesus say something specifically about the will of the One who sent Him? ● 36. In John 6:42, do the Jews affirm that they know Jesus’ mother? ● 37. In John 6:46, does Jesus say that He who is from God has seen the Father? ﬡ: no; Jesus says that He who is from the Father has seen God. ● 38. In John 6:47, does Jesus say that the one who believes in Him has eternal life? ● 39. In John 6:55, does Jesus say that His blood is truly drink? ● 40. Does John 6:64 refer to Jesus as “the Savior”? ● 41. In John 6:69, does Simon Peter describe Jesus as “the Christ, the Son of the living God,” or as “the Holy One of God”? ● 42. In John 7:6, does Jesus say “My time is not yet come,” or “My time is not come”? ● 43. In John 7:7, does Jesus say specifically that He testifies concerning the world? ● 44. In John 7:8, does Jesus say, “I am not going up to this feast,” or “I am not yet going up to this feast”? ● 45. Does John 7:22 begin with “Therefore”? ● 46. In John 7:26, do the people ask a question about the high priest? ● 47. In John 7:27, do the people raise a question about the signs the Messiah will do? ● 48. Does John 7:35 say that the Jews said something among themselves? ● 49. In John 7:37, does Jesus say, If anyone thirsts, “let him come to Me and drink”? ● 50. Does John 7:50 say anything about Nicodemus’ previous encounter with Jesus? ● 51. Does the Gospel of John contain an episode about Jesus and a woman caught in adultery, in which Jesus says “Go and sin no more”? ● 52. Does John 8:20 say that Jesus was teaching in the temple? ● 53. In John 8:26, does Jesus specifically say that the Father has sent Him? ● 54. Does John 8:27 specifically say that Jesus was speaking of God as the Father? ● 55. In John 8:35, does Jesus affirm that the Son abides forever? ● 56. In John 8:52, does Jesus say something about death? ● 57. In John 8:57, did the Jews ask Jesus, “Have you seen Abraham,” or “Has Abraham seen You”? ﬡ: has Abraham seen You? Byz: have you seen Abraham? ● 58. Does John 8:59 report that Jesus went through their midst, and so passed by” as He left the temple? ● 59. Does John 9:10 specifically mention the Jews? ● 60. In John 9:38, does the formerly blind man say to Jesus, “Lord, I believe”? ● 61. In John 9:39, does the formerly blind man worship Jesus? ● 62. Does John 10:10 specifically refer to eternal life? ● 63. In John 11:31, were the Jews thinking that Jesus was going to the tomb to weep there, or were they Jews saying that Mary was going to the tomb to weep there? ● 64. In John 11:50, does Caiaphas say “It is profitable for us that one man should die,” or does he say, “It is profitable that one man should die”? ● 65. Does John 12:1 specify that the individual named Lazarus is “the one who had died”? ● 66. In John 12:25, did Jesus say that he who hates his life in this world shall keep it? ● 67. In John 12:31, does Jesus say something about the prince of this world? ● 68. Does John 13:1 say that Jesus loved “His own” who were in the world, or “the Jews” who were in the world? ● 69. In John 13:6, does Simon Peter address Jesus as “Lord”? ● 70. In John 13:9, does Simon Peter address Jesus as “Lord”? ● 71. In John 13:10, does Jesus say something about washing feet? ● 72. In John 13:12, did Jesus take their garments, or His garments? ● 73. Does John 13:22 say that the Jews looked, one another, upon the disciples? ● 74. In John 13:24, does Simon Peter (a) motion to the disciple whom Jesus loved to ask Jesus to whom He referred, and (b) tell the disciple to ask Him of whom He spoke? ● 75. How does John 13:32 begin? ● 76. In John 13:37, Does Simon Peter address Jesus as “Lord”? ● 77. In John 14:16, does Jesus say that He will keep the Father, or that He will ask the Father? ● 78. In John 15:10, does Jesus say, “If you keep My commandments, you shall abide in My love”? ● 79. Does John 15:21 say that people will do these things “to you”? ● 80. In John 16:9, does Jesus say that the Comforter will convict the world concerning sin because “they believe on Me” or “because they do not believe on Me”? ● 81. In John 16:15, does Jesus say, “All things that the Father has are Mine; therefore I said that He will take of Mine, and shall show it to you”? ● 82. Does John 16:16 end with the phrase “because I go to the Father”? ● 83. In John 16:17, does Jesus mention the phrase, “A little while, and you shall not see Me”? ● 84. In John 17:8, does Jesus affirm that the people who were given to Him have known truly that He came from the Father? ● 85. Does John 17:10 begin with the phrase, “And all Mine are Yours, and Yours are Mine”? ● 86. Does John 17:17 include the phrase, “Your word is truth”? ● 87. In John 17:26, does Jesus refer to “the love in which You loved Me” or to “the love in which You loved them”? ● 88. In John 19:13, is the judgment seat in a place that is called Gabbatha, or Golgotha? ● 89. Does John 19:20 say that the title was read by many of the Jews, and that it was written in Hebrew, and Greek, and Latin? ● 90. Does John 19:21 say that the chief priests told Pilate not to write “King of the Jews”? ● 91. Does John 19:23 mention that the soldiers also took Jesus’ tunic? ● 92. In John 19:26, does John say that Jesus saw His mother? ● 93. Does John 19:38 say that Joseph of Arimathea “took the body of Jesus,” or that Joseph of Arimathea “took Him”? ● 94. Does John 20:3 say that Peter and the other disciple came to the tomb? ● 95. Does John 20:5 mention that the other disciple did not enter the tomb? ● 96. Does John 20:6 say that Simon Peter came and entered the tomb? ● 97. In John 21:15, does Jesus call Simon “son of Jonah”? ● 98. In John 21:20, did Peter see the disciple whom Jesus loved, following? ● 99. In John 21:21, did Peter address Jesus as “Lord”? ● 100. Does John 21:23 end with the phrase, “What is that to you”? 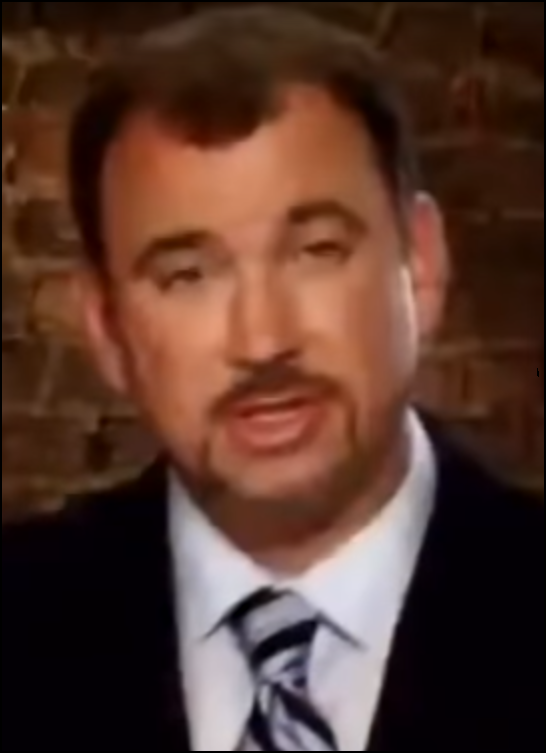 ● Bonus: Does the Gospel of John end with a statement to the effect that the world could not contain the books that would be written if all of Jesus’ deeds were written down? Readers are invited to double-check the accuracy of the data in this post.